IMSU Debating Union speakers are Pan African Finalists! 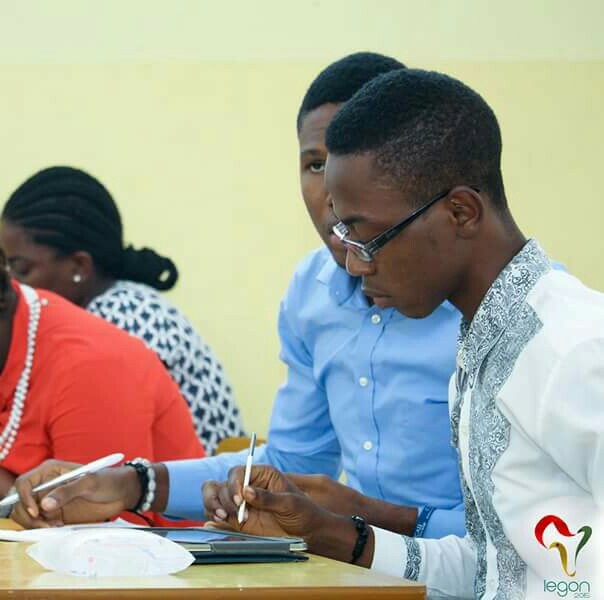 In what was a remarkable show of debating excellence and skills, an Imo State University (IMSU) debating union team of Ogbuokiri Ugochukwu David and Uwakwe Henry Ikechukwu shattered glass ceilings in 2015 to reach finals of the prestigious Pan African Universities Debating Championships hosted by the University of Ghana, Legon campus in December. The duo defeated over 89 other teams from several universities in Africa on the way to the finals where they bowed out thanks to the amazing prowess of the South African University of the Witwatersrand team comprising Mightie Leone Jamie & Nonhlanhla Masanabo. It was a tremendous achievement for the Nigerian and West African debating circuit as it was the first time, since the inception of the tournament in 2008, a university from the West African subregion got to the finals of the competition. The Nigerian and a Ghanaian team from the Kwame Nkrumah University of Science and Technology (KNUST) comprising Elikplim Katahena & Jacob Johnson Attakpah were the joint first West African institutions and countries to make it to a Pan African grand final! The IMSU finalists were in closing opposition in the finals from where they lost on a 5-2 split decision of the judges to the South African team on opening opposition. Ogbuokiri David and Uwakwe Henry Ikechukwu both described the sensation of being grand finalists and runners-up as “exciting and relieving” after dropping out at Quarter Finals in 2013. The tournament was based on the british parliamentary style format and competitors received debate topics 15 minutes in advance of each round. Dr Nwagha Christopher Emmanuel was the leader of the delegation said “we are extremely proud and happy that Imo State University Debating Union took Nigeria to the finals for the first time ever! So this is a Nigerian achievement more than anything. It goes to show that with hardwork, adequate preparation, and sponsorship we could achieve the same feat at Worlds level. Ogbuokiri David Ugochukwu and Ogbuokiri Ifeanyi Valentine were also ranked joint 6th Best debaters in Africa. David however went on to also win the Best Country Debater from Nigeria having broken ahead of his brother’s team on the team break. Other IMSU debaters on the speakers’ tab include Anyanwu Emeka (22nd), Uwakwe Henry Ikechukwu (36th), Okpara Victor (52nd), Divine Israel (87th), Ahaneku Ekene (96th), Okosun Sandra (129th). The duo’s debating career has been one of many successes together. They both were Masters Round champions in 2015, Finalists and runners-up 2014 All Nigerian Universities Debating Championships in which Ogbuokiri David was Overall Best Speaker and Second Best Public Speaker. Later in 2015, they both clinched the National title and honors in debate. Uwakwe Henry Ikechukwu was Winner of the ANUDC National Championship (Open category) with Ogbuokiri Ifeanyi. Ogbuokiri David Ugochukwu on the hand won the ANUDC University Category with Uchegbu Dickson. Uwakwe Henry Ikechukwu was the overall Best Open Speaker in the tournament.